Julian Assange also fears extradition to the US over WikiLeaks' release in 2010 of secret US military documents and diplomatic cables. Donald Trump's former campaign chairman Paul Manafort held secret talks with WikiLeaks founder Julian Assange, including around the time the lobbyist joined Trump's bid to win the presidency, The Guardian reported on Tuesday. Manafort went to the Ecuadorian embassy in London in 2013, 2015 and then "around March 2016" to meet Assange, whose organization is accused of leaking thousands of emails allegedly stolen by Russian hackers from Hillary Clinton's rival campaign, the newspaper said, citing unnamed sources. The Guardian cited a separate internal document written by Ecuador's Senain intelligence agency which listed a "Paul Manaford" as one of Assange's guests at the embassy. WikiLeaks denied the report, tweeting that it was "willing to bet the Guardian a million dollars and its editor's head that Manafort never met Assange." 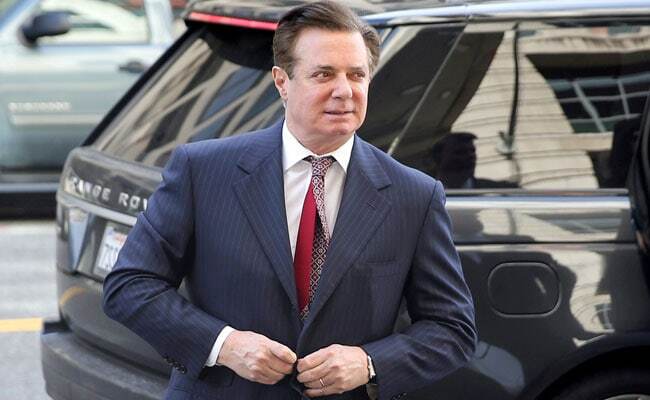 Manafort chaired the Trump election campaign from March until August 2016, initially charged with organizing the all-important battle to win over delegates to the Republicans' national convention. The Guardian said it was unclear why Manafort visited Assange, who has been living at the embassy since he sought refuge in 2012 over a Swedish sexual assault case that was later dropped. Assange also fears extradition to the US over WikiLeaks' release in 2010 of secret US military documents and diplomatic cables. In July, US Special Counsel Robert Mueller, who is investigating possible collusion between Trump's 2016 campaign team and Russia, charged 12 Russian spies with conspiring to hack Democratic National Committee computers, stealing data from the organization and publishing those files in an effort to sway the election. One of the indictments referred to WikiLeaks, described as "Organization 1," as the platform the Russians used to release the stolen emails. Earlier this month US prosecutors inadvertently disclosed the existence of a sealed indictment against Assange, in an unrelated case. But it was not clear what charges Assange would face. On Monday prosecutors said in a court filing that Manafort had lied to investigators, in violation of a plea agreement he made in September. Manafort had agreed to cooperate with Mueller's probe after pleading guilty to financial fraud charges related to his work as an unregistered lobbyist for Ukraine -- prior to his time with the Trump campaign.